GILLESPIE, KATHRYN GIBSON - December 4, 1923 – December 23, 2013 - Kathryn Gibson Gillespie nee Machum of Calgary passed away in Calgary at the age of 90 on Monday, December 23, 2013. Kathryn was the eldest child of Donald Wilfred Machum and Mary Gibson Machum nee Merritt. Kathryn was predeceased by her parents and by her husband Gordon Campbell Gillespie and by her brothers Lawrence (Larry) Merritt Machum and Donald Alexander (Sandy) Machum. Kathryn was born December 4, 1923 in St. John, New Brunswick. 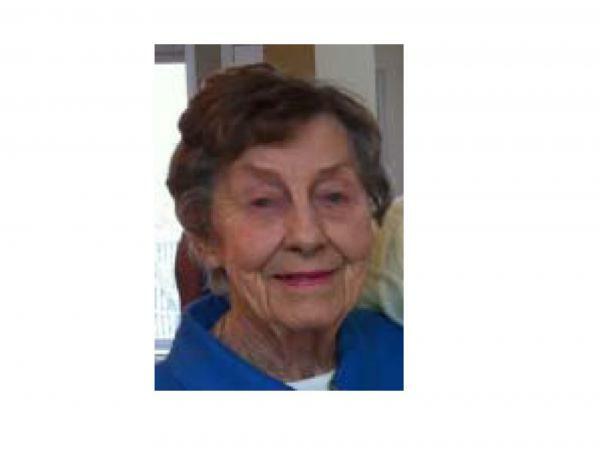 She graduated from Grosse Point High School in Detroit in 1942 and received a BA in Economics from Acadia University in 1946. Kathryn married the late Gordon Gillespie in 1947 and they lived together in Kingston, Montreal, Ottawa and Hampton, New Brunswick. After Gordon’s death in 2000, Kathryn relocated to Calgary to be close to her daughters. Kathryn is survived by her three daughters: Susan (Kevin) Higgins of Kilkenny, Ireland; Janet (Manfred) Schebek of Calgary and Lynn (Mark) Adcock of Calgary. She is also survived by seven grandchildren: Michael Higgins, Conor Higgins, Peter Higgins, Jennifer Schebek, Katie Perry nee Adcock, Keith Adcock and Stephen Adcock. The family would like to thank the staff of Chinook Hospice for their kind and professional support during Kathryn’s final days.